Piranha Knives P-2 Fingerling Automatic Knife is a great little pocket carry knife with a fast action and solid lock up. 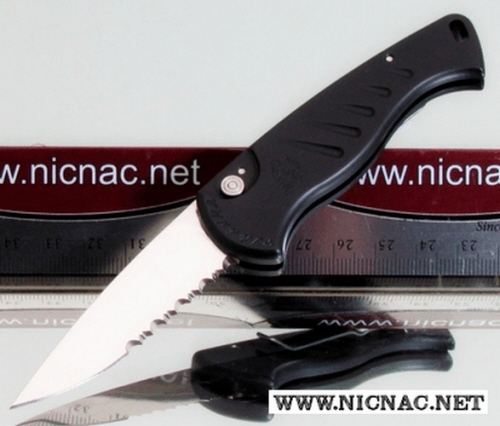 It's 154-CM stainless steel blade had a solid lock up and this great little side opening automatic knife comes with a tip-up titanium pocket clip for easy every day carry. It's overall open length is 5.9 inches with a 2.5 inch blade and closed this sweet little knife is 3.375 inches and weighs in at just 1.8 ounces. The Piranha P-2 Fingerling Automatic Knife is made in the USA too!